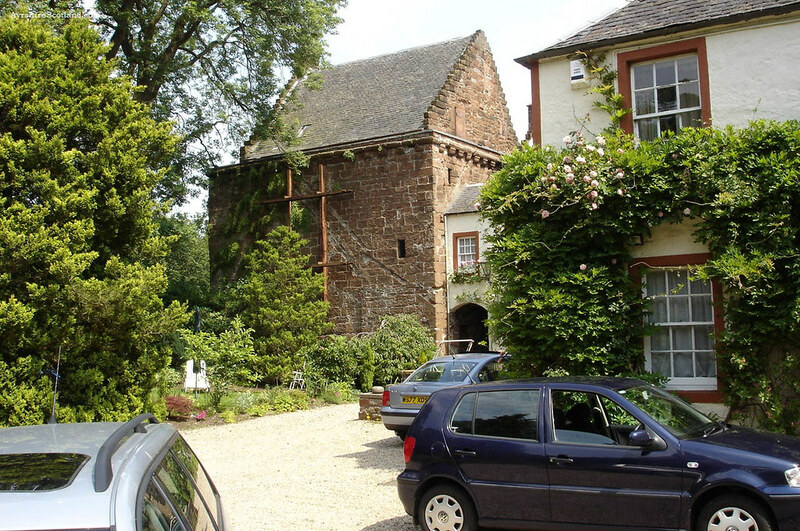 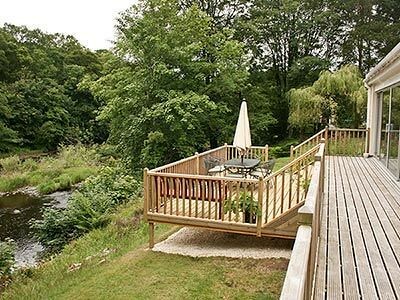 The small village of Mauchline is situated 8 miles southeast of Kilmarnock on the A76. 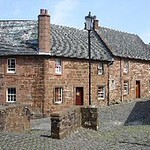 It is much associated with Robert Burns who lived and was wed here. 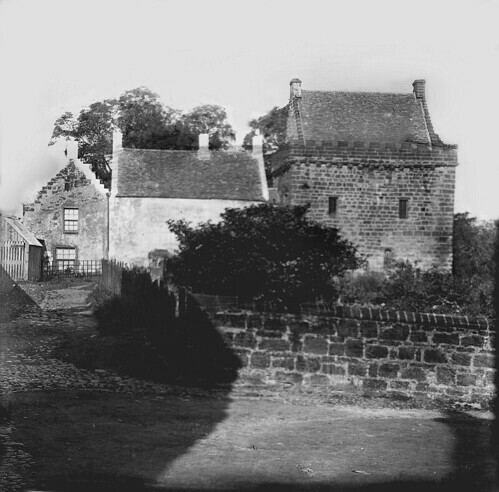 There is a school, a bank, two clubs, four public houses and hotels, a library, a golf course and plenty of Burns related places to visit. 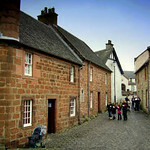 In a word the, visitor to Mauchline will find everything tending to the enjoyment and comfort of a summer holiday or flying visit to one of the most interesting spots in the "Land of Burns" The village has a long history, first being mentioned in connection with battles between Picts and Scots in the 7th century. 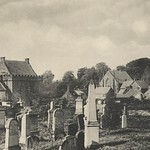 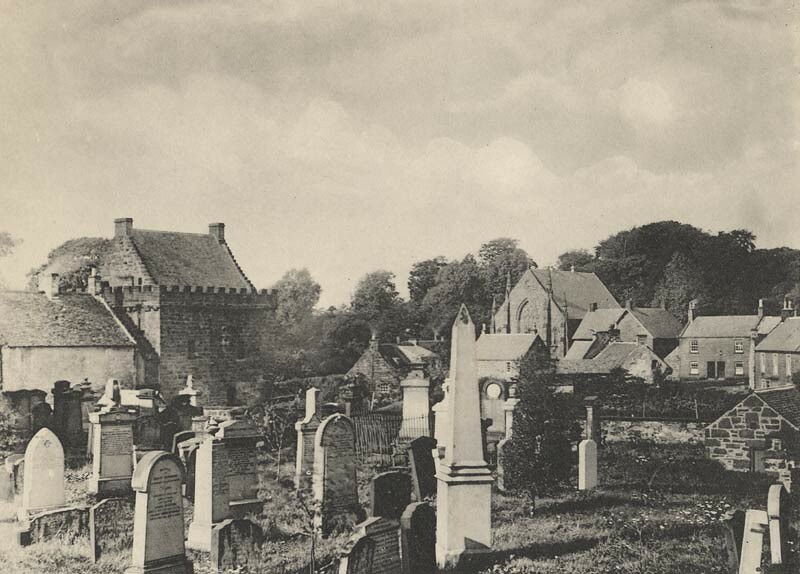 Mauchline is perhaps best known for its associations with Robert Burns, but the remnants of developments within the Church and State which affected the whole Scottish history can still be seen. 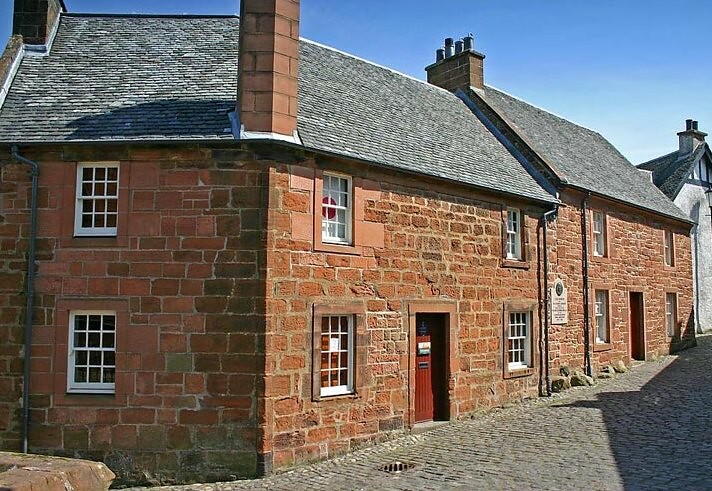 The village also boasts a song writer in John Gibson, who was born and bread in Mauchline.John is well known in the south west of Scotland for his song writing and playing in bands up and down the country. 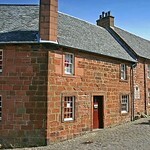 Poosie Nansie’s Tavern is situated across the road from the church. 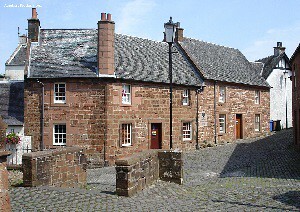 This is one of two pubs in the centre of Mauchline, ideally situated for drinks and meals. The oldest parts of Poosie Nansie’s date back to the 1700s. This tavern, that may have been a brothel at that time, inspired Burns to write the cantata Jolly Beggars. 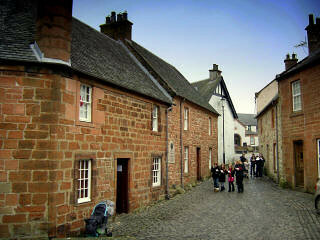 The Burns House Museum, is situated in the centre of Mauchline amidst period buildings and cobbled streets. 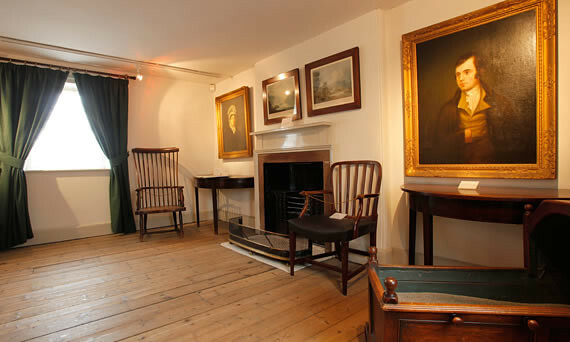 The museum contains a period room in which the poet Robert Burns began his married life, a display of Burns memorabilia and gives information on Burns life in Mauchline (1784-1788). 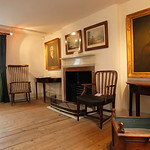 The museum is open Tuesday-Saturday 10.30-1700 and 14.00-17.00 on Sunday’s; it is closed on Monday’s. 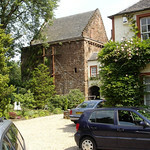 Mauchline Castle, was built in the 1400s as a monastic residence for Melrose Abbey. Robert Burns is believed to have married Jean Armour in the castles dining room.